Which country has the largest number of children (aged 0-14)? Chart by GKH. Data Source: UN WPP2015. Currently, India is home to some 377 million children under the age of 15. China has far fewer children: There are "only" some 237 million children aged 0 to 14. 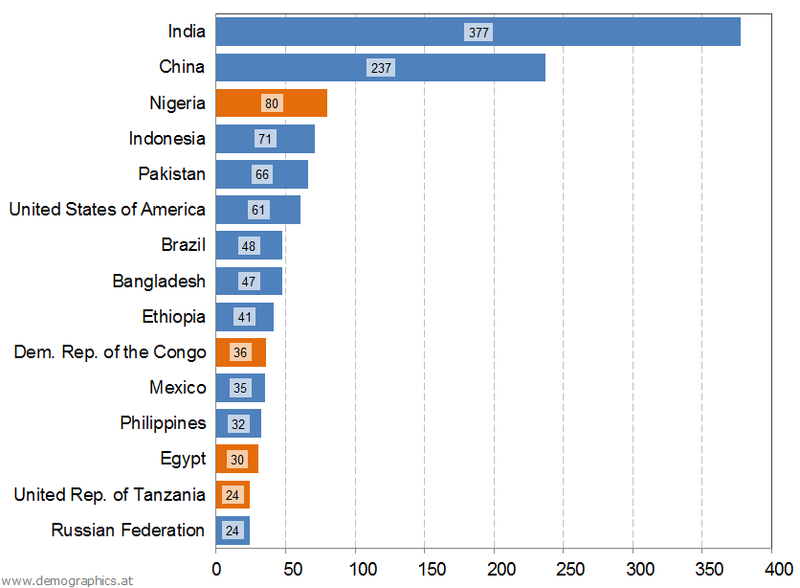 Would you have guessed that Nigeria - not Indonesia - has the third largest population of children? There are more than 80 million children age 0 to 14 in Nigeria. 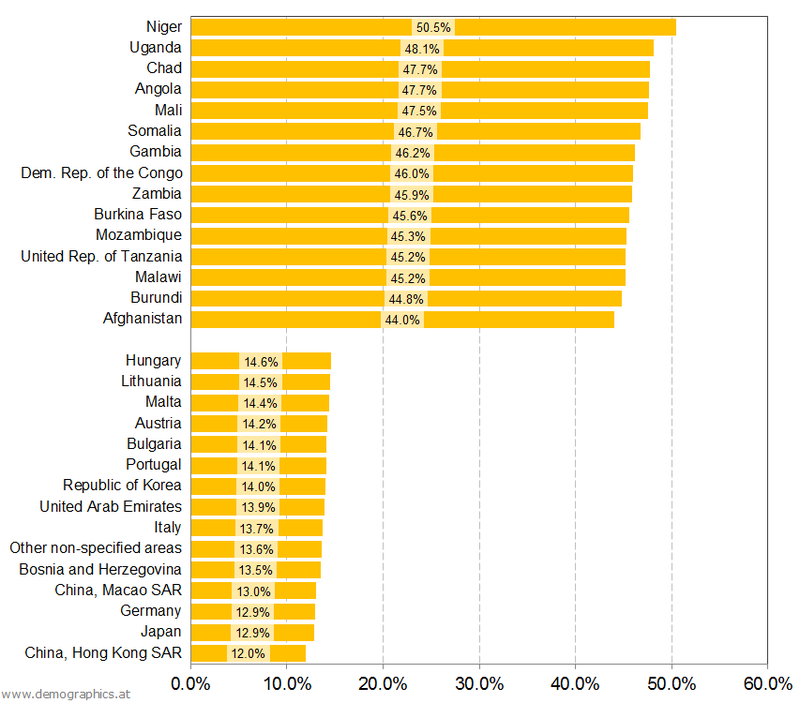 Most other African countries also have a very high percentages of children in their population. For instance, in Uganda, Chad, Angola and Mali the proportion of children in the population ist more than 47%.